The chemotactic protein CCL17 attracts immune cells to where they are needed. Doctors have long known that a high level of CCL17 in the body indicates an allergic reaction. Researchers led by the University of Bonn have now discovered a completely new function: CCL17 also influences signal transmission in the brain. There may even be a molecular link to autism. The results have now been published in the journal Glia. Chemotactic cytokines, chemokines for short, are signaling proteins that act as attractants and ensure that immune cells migrate from the bloodstream into the tissues, for example. The chemokine CCL17 is known to increase inflammation and is associated with allergic diseases. A high level of CCL17 in the blood is regarded by doctors as a diagnostic marker of ongoing allergic reactions such as atopic eczema. An earlier joint study by the Universities of Münster and Bonn showed that animals with a defect in the expression of the receptor for CCL17 have behavioral problems. For example, they were unable to build proper nests like their normally developed mates. “These behavioral changes indicated that CCL17 not only affects the immune system, but perhaps also the brain,” says corresponding author Prof. Dr. Irmgard Förster from the LIMES Institute at the University of Bonn. 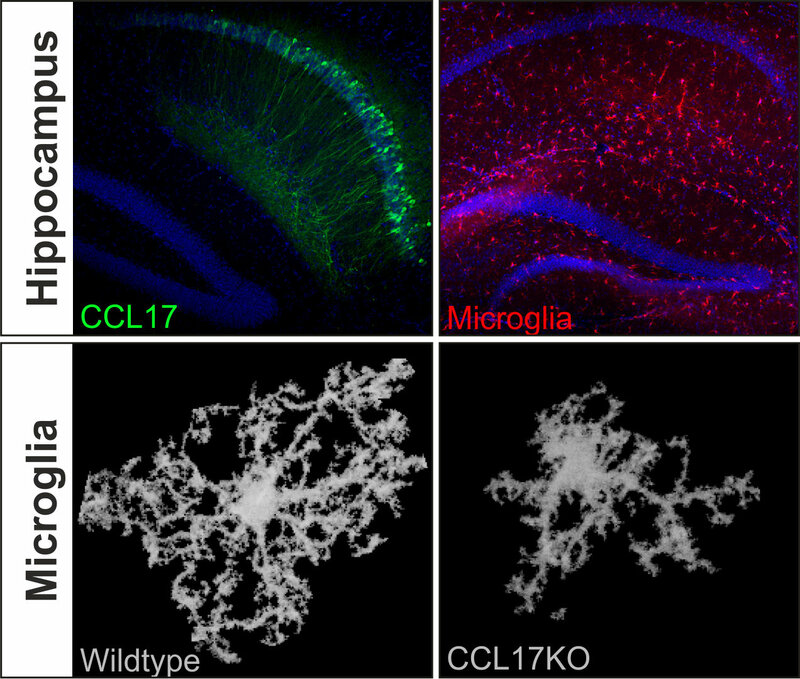 The researchers wondered which cells in the brain produce CCL17. 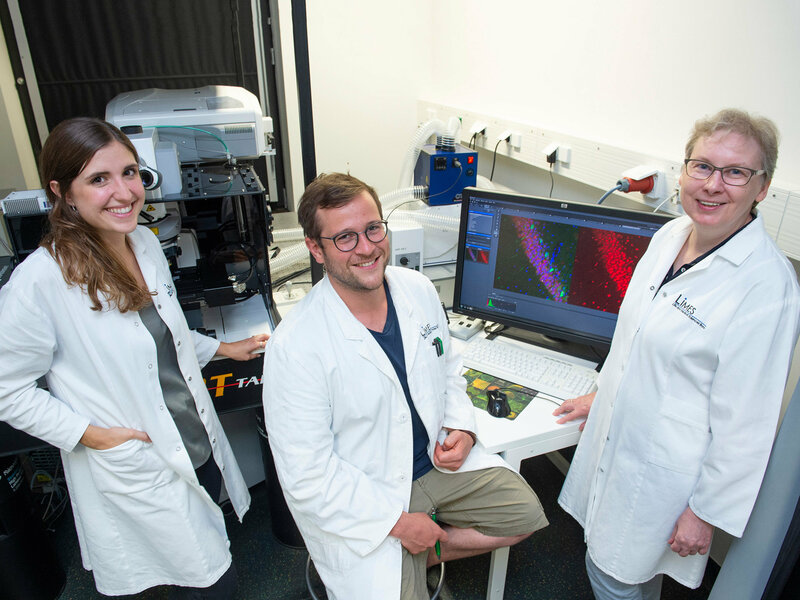 This issue was investigated by doctoral student Lorenz Fülle and Irmgard Förster, together with scientists from the Institute of Cellular Neurosciences around Prof. Dr. Christian Henneberger, Dr. Annett Halle from the German Center for Neurodegenerative Diseases (DZNE) and Dr. Judith Alferink from the University of Münster.